More news from CNN Digital… Looks like Politico’s deputy managing editor, Dianna Heitz, is on her way out, according to a memo from CNN Politics Digital executive editor, Rachel Smolkin, to their DC Bureau. I’m delighted to kick off the new year by announcing that Dianna Heitz will be joining CNN Politics Digital as our senior multi-platform editor. Dianna will take on a broad role that will encompass editorial work, analytics and business development. 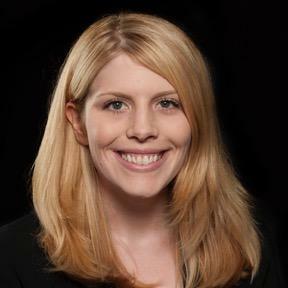 She will oversee the daily politics look of our new site, assist with editing, and work closely with Ashley Codianni, Eric Weisbrod and the rest of CNN’s terrific social media team to showcase our work on all digital platforms. Dianna comes from POLITICO, where she is the deputy managing editor who oversees the Webteam and works across the organization to give the site its look and feel. We’re thrilled that her start here coincides with the launch of a dynamic and engaging new platform for all of CNN’s journalism. Please join me in welcoming Dianna, who starts Jan. 19. We’re looking forward to an exciting 2015. In an article last month in The Washington Post, Erik Wemple found that about 25 percent of Politico’s editorial staff turned over in 2014, an alarming rate even for an organization known for its high turn over. Heitz becomes the sixth Politico reporter or editor to leave in the news organization’s mass exodus since this Fall, with the most recent departure, MJ Lee, leaving in mid-December to join CNN Politics Digital.